Are you obsessed with finding new apps for the iPhone? To stay current on the hottest apps, you could browse through iTunes looking for the latest additions or you could subscribe to the million-and-one iPhone blogs out there, but neither of these methods is ideal. Besides, who has the time to do so?  Today, people are looking for filters, not more firehoses of information, and jamming yet another feed into their already over-crowded RSS readers is not everyone’s favorite solution. Well, perhaps there’s a better way. A new site called Freshapps for the iPhone recently launched, offering a place where a community of iPhone users can vote up and comment on the iPhone apps they use and love. Yes, it’s “Digg” for iPhone apps, but don’t dismiss it just yet. This site has potential. On Freshapps, you don’t “digg” an iPhone app, you “make fresh” instead. The homepage features the “freshest” apps – that is, the ones with the most votes. Underneath each app listed is a download link, a link to the comments about the app, and a link to the details where you can read the full description of the app. That description is just like what you would see in the iTunes App Store. 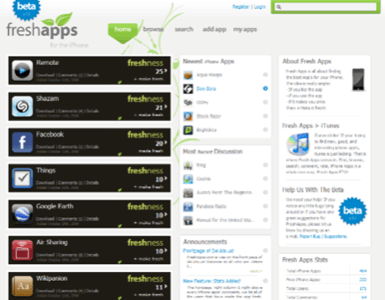 You can also search Freshapps for keywords or browse through the pages of apps. 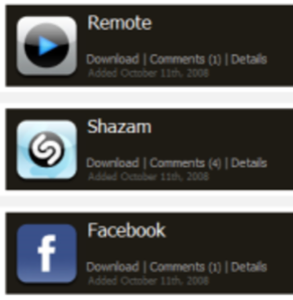 The site tracks the apps in a number of different ways. You can view a list of the newest apps, the ones with the most recent discussions, the most talked about apps of all time, and, of course, the freshest. For those, you can see both the freshest of all time as well as the freshest of the week. After playing around with the site for a little while, the only complaint we have is that the most popular apps aren’t exactly what we would call “fresh.” For this site, the word “fresh” doesn’t necessarily mean what you would think – that is, new or recent. Instead, “fresh” means popular, which is why the “freshest” apps include what we now consider old standbys like Facebook, Pandora, and Wikipanion. That’s not to say that you can’t discover apps that are new to you here, but at this time, this doesn’t look like the place to discover the absolute latest releases. That problem stems from the fact that, like any crowdsourced Web 2.0 site, the site is only as good as the community that participates. If there aren’t enough people around to submit the latest apps to the site, the data will get old fast. That’s especially true for iPhone apps – the iPhone is a hot platform where new apps arrive every day, so there needs to be a good crowd of users on the site keeping up with that flow of information. Considering that the “freshest” apps only have some 20-odd votes, we’re guessing there isn’t a huge community that has discovered this site just yet. However, if that were to change, Freshapps has already laid the groundwork to provide us with a fun, engaging, and aesthetically pleasing site. Digg probably didn’t have that many users from Day 1 either, so we’re willing to give this site some time to pick up steam. If it does, we would love to use it.